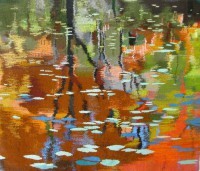 The inspiration for my tapestry designs always comes first from the natural world: its shapes, textures, and colors. 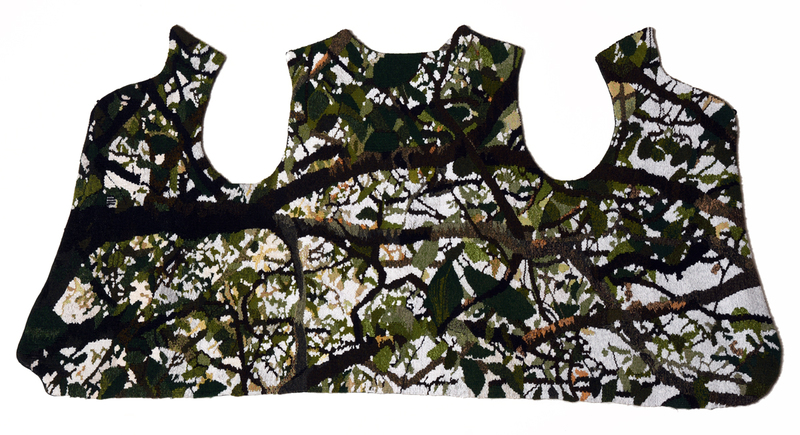 Certain subjects—trees, leaves, receding horizons—are particularly compelling to me. I am not concerned with subjective realism, but find that my subjects transform into images through the filters of thoughts, memories, and emotions. 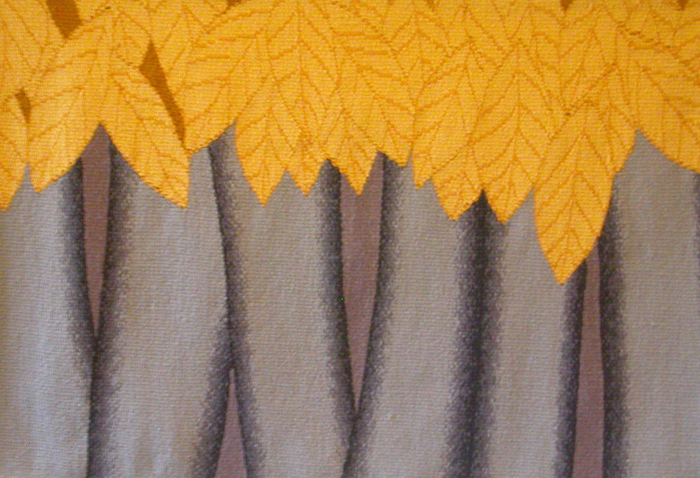 The “Beeches” tapestry came from my love of and fascination with the silver and gold colors of fall beeches, and the contrast of the smooth trunks with the textured leaves that hang on late into winter. 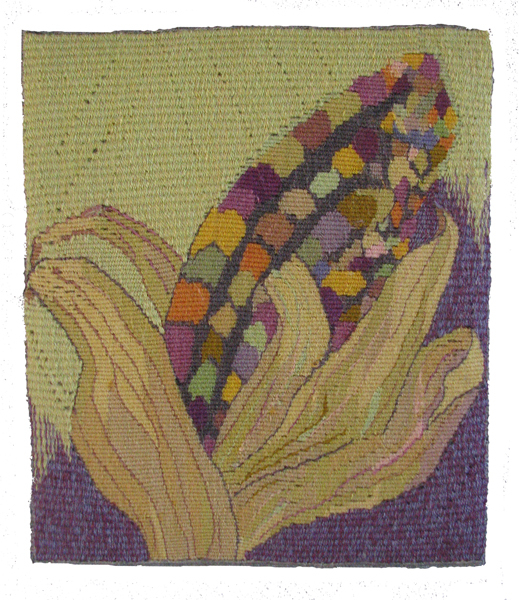 The “Winding Ribbons” tapestry resulted from a smaller, somewhat more realistic tapestry I did for an ATA small tapestry show. The original design showed rolling landscape elements, with hills, sky, and a road, but the shaded, rounded segments and the rhythmic bands crossing them were the most interesting to me, and led to the design of this work. 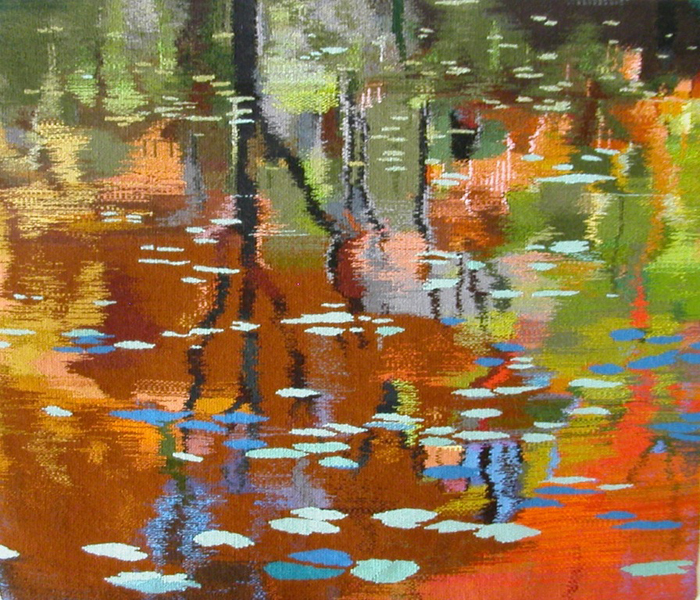 “Bog Road Reflections” is based on a photo taken by my son, and while it’s unusual for me to work from a photo, especially one not my own, his beautiful composition with its array of colors and textures and almost abstract look begged to be woven as a tapestry. I have been weaving since I was fourteen and my father bought me a small, used floor loom and taught me how to use it. 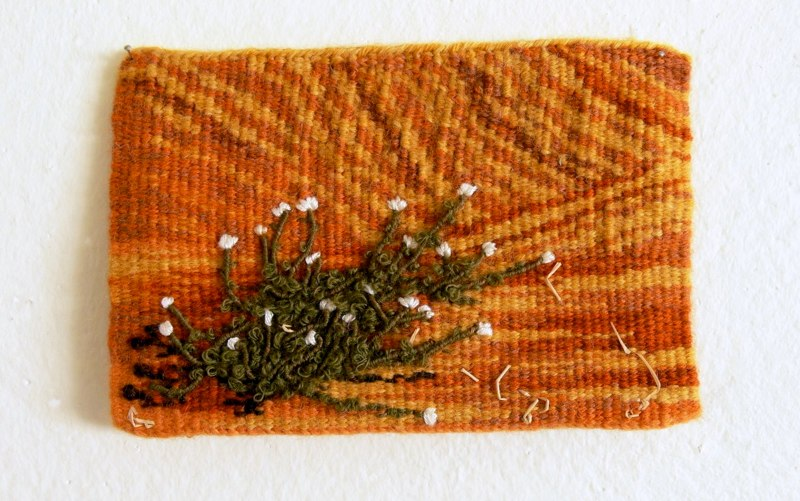 In college, I majored in Fine Art at the University of Northern Colorado, where textile work was included in the art curriculum. 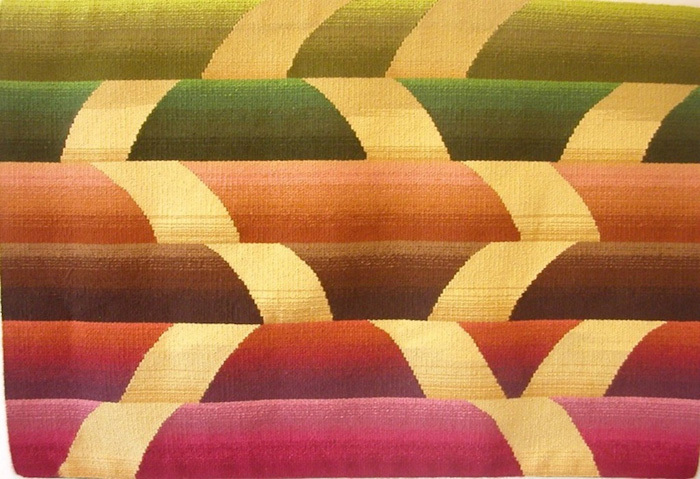 In the next thirty or so years I continued to weave, mostly clothing and home articles. But more and more, I found myself wanting to weave images—to say something not said by a scarf! 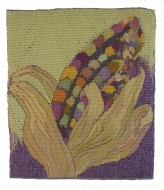 After weaving a couple of technically bad tapestries on my own, and realizing that I was going to talk about “doing tapestry” forever but never get around to it unless I focused only on tapestry, I took a class with James Koehler. In terms of technique and understanding and inspiration, I found that class life-changing and it set me on the tapestry path, where I hope to be for a long time to come.